You are at:Home»1L Year»Do I Need Know What Type of Law I Want to Practice Prior to Law School? This year’s law school application cycle is in full swing, and as students move from law school application mode to 1L prep mode, we always get a flood of questions regarding the transition into law school. Our previous posts on the best books to prepare for law school and our list of recommended reading for the summer before law school were a hit, so this year we’re going to dive deeper into more topics on how to prepare for law school. Do I Need Know What Area of Law I Want to Go Into Before Starting Law School? It is very rare for a first year law student to know precisely what area of law that they will commit to during their career. In my experience, most 1Ls have only a vague notion of what practice areas might interest them… much less any real concept of what the day-to-day life of an associate in that practice area looks like. It is best to keep your mind (as well as your options) open as you proceed through law school and internships. You really don’t get much (if any) exposure to various practice areas during 1L year as you’re laying the foundation with the standard 1L schedule of criminal, contracts, torts, property, civil procedure, constitutional law courses. So, while you don’t need to know what type of law that you want to practice, it certainly wouldn’t hurt to begin developing a basic understanding of the areas of law that you’ll encounter 1L year. 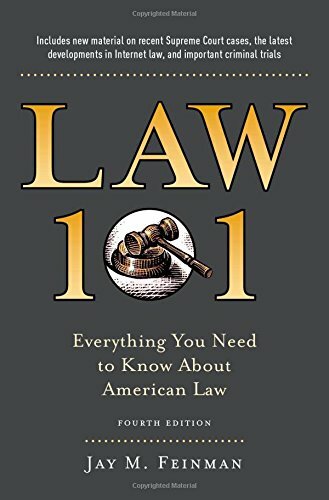 For a great introduction to the basics, I recommend checking out Law 101: Everything You Need to Know About American Law. This book covers the basics & gives you a great primer on stuff you’ll be learning in much more depth 1L year. CLICK HERE for Current Pricing & Reviews. It isn’t until 2L and 3L year that you really get an opportunity to explore more specialized areas. If you go into an interview after 1L year and say something like “I want to work in M&A,” then you’d better be able to back that claim up with sufficient experience and/or education in that area or you may run the risk of appearing to be a bit naive. Of course, there are always the rare cases where a student went to law school specifically because they want to work in a particular area of law that is of great personal importance to them. For example, I knew one student who grew up in foster care and was eventually adopted by a wonderful family. He knew he wanted to spend his career helping families navigate the laws of adoption and help place children in loving homes. 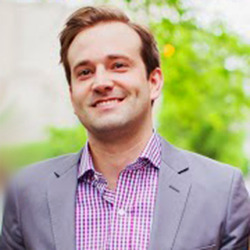 His passion was squarely in family law and adoption law from the beginning, and he followed that passion through law school and into his career. However, this sort of story is the exception, not the rule, and 1Ls shouldn’t feel compelled to pick which area of law that they’ll be spending the next 30+ years of their life practicing in. Your best bet is to keep your head down, focus on your coursework, get good grades, and land a prestigious summer internship that will give them exposure to a variety of interesting and challenging work. Ashley, I agree with both Josh and Evan. Great advice, guys. While it’s great you have an idea of what kind of work you’d like to do, it’s really hard to know what exact kind of law will be right for you until you start interning and externing during your law school years with various firms and organizations. While you’re looking at schools, take into consideration that with legal employment still not as robust as it could be, you want to focus on the schools that will set you up for getting a job in the STATE or REGION of the country that you most want to practice in. Just to give you an example, it can be great to go to a T14 school, but if you know you want to practice in a different state than the one in which your law school is located, make sure to do your post 1L and post 2L legal internships in the CITY and STATE in which you want to practice. Ranking and reputation of the school does not trump all. I know this from working in a city that prefers locals (Seattle, in case you’re wondering). Ashley, I’m in agreement with Josh here. Definitely only go to law school if a few different paths are acceptable to you, so don’t be concerned that you are interested in a few things. Having the idea in your head that you won’t be happy unless you end up doing just one thing is a recipe for disaster. Having lived with an environmental lawyer for the past two years, and one who came from a top school, I can tell you that going straight into a environmental non-profit is very challenging. Generally it would help to have been an environmental engineer or the like for a while before law school. If you haven’t done this, you might expect to need to get other experience first, likely working at a large firm with these companies as clients. All of the paths you mention will be much easier to get on from a top school, so that should be your main focus. I’m having a difficult time choosing schools because I’m stuck between whether I want to do corporate/business law, international, and environmental. I supposed all 3 could sort of overlap (I want to help impose environmental regulations on corporations with a large carbon footprints and basically help preserve the earth) but how do you go about choosing a school if you’re not sure what area you want to focus on? I’m afraid to settle on a school, for example, with a great business program only to find out by my 2L that business law isn’t what I want to do. Do you have Any suggestions?? As the article mentions, it’s very difficult to know what type of law you want to practice before law school, and you’ll probably change your mind several times while you’re in school. So you should definitely keep that in mind when you’re weighing the importance of a school’s strength in a particular area of law in your law school decision. Other factors, such as employment placement data & overall reputation should probably weigh more heavily on your decision for precisely the reason you identified: you won’t find out if you are interested in a particular area of law until you’ve worked with the material for a while. The best option, of course, is to shoot for a great law school that has a strong regional reputation and acceptable rates of job placement. Then you’re going to be in good shape regardless of what you decide to specialize in. I want to attend Ohio State University, Cincinnati or Capital University. I am a retired veteran and it has always been my desire to study law. I really want to help in family law. Areas involving juvenile delinquency and adoption. Just an old Air Force Colonel needing some guidance.